In a few recent posts, I’ve mentioned a Bloggers’ Meet Up that was planned with Janis from Retirementally Challenged, Kathy from Smart Living 365 and me. This group also met last year and included Liesbet and Terri (who were unfortunately not able to join us this year). I promised that I would share any blogging tidbits that we discussed. To be honest, it was sometimes difficult for us to stay on task — there were so many different things that we wanted to chat about! Here’s a quick summary of my take on our discussion. Some points were unique to just one of us, while other points were shared by all. And of course, Janis and Kathy’s notes might look quite different from mine! • Commit to lifelong learning. • Promote deeper thinking (for ourselves and others). • Build rapport and engagement. • Inspire and be inspired, challenge and be challenged, influence and be influenced. • Balancing all the things that we wish to be doing at this point in our lives. • Consistently coming up with new and meaningful topics. • Struggling to write when the words are not flowing. • Technical aspects of blogging can be a HUGE time and energy drain. • Blogging can easily consume eight days a week. • Our time is precious – how do we make the most of it? • Be specific about blogging goals. • Consider Guest Bloggers (and use them wisely). • Find a way to ensure that blogging does not overtake your inbox. • Allow yourself to take a Blogging Break (you’ll know when it’s right for you). • Use the ‘Batching’ Technique. (This was suggested by Min from Write of the Middle) Allocate chunks of time to do a batch of one type of blogging tasks: e.g., brainstorming blog ideas, writing your blog posts, editing photo’s, posting to social media. • Don’t go it alone. Ask others (Happiness Engineers, fellow bloggers, Meet Up Groups, etc.) for their advice. • Making money blogging is not easy. Be sure you are doing it because you love it. • Have a reason beyond numbers that you are blogging. • If you do love it, you’ll figure out what works for you. • Blogging is like learning a foreign language that is continually changing. Every time you turn around there is something new to master! • Allows time away to reflect, reevaluate and reprioritize. • Helps to examine and change habits that no longer serve us. • Can keep us fresh and renew our energy. • Allows us to fully enjoy, and participate in, holidays and family gatherings (etc.) without the constant juggling act! • Have a more precise idea of what a blog is (and what it can be). • Do more research ahead of time, including chatting with other bloggers, to find the best hosting plan and blogging tools to suit individual needs. • Based on the above, make a blogging budget of predicted yearly blogging costs. • Give more thought to blogging niche. • Choose a topic that is not limiting. • Select blog name wisely. • Give more thought to the About Page (and keep it updated regularly). Unfortunately, I only managed to capture some of our discussion in my notes. These ideas are not new and are not absolutes. Still, the debating was incredibly inspiring and thought-provoking. This time together also allowed Janis and me to each firm up some decisions that we had been considering. You can read about Janis’s decision here. You can read mine in my next post! I’d love to hear your thoughts and any suggestions that you would add to the above lists. We are hoping to have another Meet Up on Vancouver Island sometime next summer. Watch this space for more about that. We often had difficulty capturing just the right photo…but we sure had fun trying! This is such a great list, Donna. Learning to say ‘no’ was a tough one for me, but after that first time, it became easier. I think the length of a post is important. Personally, I follow so many blogs, some of which post every day. I don’t have time to read long posts, so I keep this in mind when writing my own. Thanks for sharing this list and the fantastic photos! Hi, Jill – Thank you for raising the point about post length. This came up in our discussion as well. For some posts (and some types of blogs) short posts are just not possible. But when bloggers can keep their posts short, I also greatly appreciate this! Woohoo – look at that! All my info was repopulated without me having to sign in at least once!! I’m the type of person who jumps into things and figures out the details along the way. I’m pretty sure that if I had researched blogging before I started, I likely would have gone into analysis-paralysis and never would have started. There are so many great bloggers out there and I would have been extremely intimidated by the quality of their work,. I’m coming on 6 years since I started blogging. I have evolved as a blogger and so has my content as my interests go off in various directions. The world isn’t static and our blogs don’t have to be either. Although my presence has waxed and waned over time, there is one thing that keeps me online – the engagement. It is something I value more than anything else. This 2nd annual meet up of you three ladies demonstrates what makes blogging so great! Hi, Joanne – Double Woohoo! This is such great news. I feel like I’ve done nothing but spend the past several days with WP/Jetpack/Askimet Support Staff. The great news is that regular readers have not appeared in my Spam or Moderation folders for my last post (or this one). Now you, Sue and Anabel have logged in without problems. This is such a relief. Did you sign in with Chrome as your browser or Safari? Thank you for the points that you raised in your comment. I agree that what works for one blogger doesn’t always work for another. I also agree that the connections made make it all worthwhile! What a great summary of the joys and challenges of blogging. It’s inspiring to me, a tiny, tiny blogger (😅), that other retired women are getting together to support each other with their creative efforts. We are not alone! It shows me there are infinite directions in which we can grow and flourish in our writing/blogging efforts. Thank you Donna — looks like you all had a blast! Hi, Susan – I am delighted that our quick parking lot conversation the other day turned to blogging. Otherwise we may have never discovered each others’ sites. You are right – there are infinite directions that blogging can take us — it is an incredible journey! So jealous! I need to plan a trip to Vancouver! For me, I knew so little about blogging when I started that I am amazed I evolved enough to survive. I would think harder about my blog name if I had to do over again. Mine is too long although fortunately my friend shortened the url wisely. I am too lazy about the technical aspects so I rarely update my theme and blog look. I hate to waste time that isn’t devoted to writing. You have captured the essence of blogging here. Hi, Kate – I love the name of your blog. It suits your content perfectly! Yes! Yes! Yes! Plan that trip to Vancouver Island. You are most welcome to bring Molly, Hazel, Morgan and Gracie (and of course your husband) along! Thank you, Donna, for a great summary and lovely photos. I’m learning from your notes and will read Janis’ and Kathy’s notes if/ when they post them. Having said that, I’m newer to blogging than you, Janis, and Kathy, and am using a free Blogger template so I may experience some of the issues that you’ve had later on. I look forward to reading about the meet-up plan for next summer. ‘The Joy of Missing Out’! I love that expression. I also greatly admire how you prioritize what is most important to you, and ensure that you focus first on those priorities. I have learned a great deal from reading your blog. Hi, Kathy – Thank you again for such an amazing weekend. Thank you also for highlighting the importance of bloggers sharing together. I agree that the sharing and the laughter does make us realize that we are not alone, and does help generate solutions. From our Meet-Up I’ve reached a clear blogging decision that I have been avoiding. I am in the process of working on that right now. More about that in my next post! This is such a fabulous and thought provoking post Donna thanks so much for sharing it. I’ll be checking back again. I loved all the comments as well … and the lively and lovely photos. Hi, Susan – I always love how you interact so fully with the comments. The comments section in my favourite area of my blog. You have ended with an excellent question that I believe will resonate with many readers. As Joanne wisely stated, we evolved as people, and as bloggers, why would the focus of our content always stay the same? Thank you Donna. Very inspiring. I thought blogging was about making money, I did not know that is was an art form for its own sake. I look forward to the Meet Up. Great post – but, but, but! I echo Joanne. My details are all there without multiple attempts at logging in. Miracle of miracles, wonder of wonders. Hi, Anabel – That IS a miracle that you, Joanne and Sue have not needed to make multiple attempts to log in. This makes all of those hours with the Happiness Engineers and volunteers on the Forum worthwhile! Fingers crossed that it remains! I am so grateful that you took notes while we were chattering! You did a great job summarizing the major topics we discussed. These get togethers are so precious to me and I cherish the friendship we have. I hope that our Vancouver Island meet-up plan works out and maybe we can even add a few more bloggers to the gathering. Enjoy the rest of your time in the desert and safe travels back home. Thanks so much, Janis. It was a wonderful Meet-Up….and so incredible to see our husbands bond together as if they have always been lifelong friends. I am off to visit your post now. I have a sneaking suspicion what I will find there! Hi, Janet – Thanks so much for dropping by. Just when I thought that I have my spam issue sorted, you ended up in there. Fingers crossed that was a one-off! Wonderful list of things to consider. I would add: don’t be afraid to change your blog name (by starting a new blog and importing your old posts). Life changes and why shouldn’t your blog? Like Joanne mentioned, if you go into it not wanting to start until all the deets are thoroughly ironed out, you may never start. I look forward to hearing about the next blogger meetup! Hi, Deb – This is a great point about not being afraid to switch things up, including your blog’s name. I don’t think that we can (or should) ever have everything all ironed out before we begin blogging. In my case, a few more key details may have served me well! Hi, Sue – I am so glad that your blogging break worked out so well. I missed you but enjoyed seeing your photos on FB. You visiting Vancouver in 2019 totally rocks! I will keep my fingers (and toes) crossed for this to happen! Well it sounds like you still managed to cover a lot of ground (even with all the chit chat you would have done too!) Blogging is such an interesting topic – I wonder what I’d have done differently if I’d known more before I started – maybe my expectations would have been much higher and I’d have become disillusioned and chucked it in or burnt out? I’m really glad I started on a free site because I couldn’t justify paying out money every month – although all hobbies have a cost associated with them, so maybe this is just a hobby that needs a budget if you want a few extra bells and whistles? I’m also glad I haven’t had any major glitches because I think I’d just throw my hands in the air and give up (and go and learn macrame or something). One thing I’m noticing is that I want to pare back more – I’ve gone from 3 posts a week down to 2 and I’m looking at cutting back more, blogging took over too much of my life and now I want to give it a smaller space. Interesting that there were a lot of similar things that you girls are thinking that match my own thoughts. Hi, Leanne – It really does seem like many of us in this corner of the blogisphere are on the same page in terms of paring back and protecting our time. It is wonderful to be surrounded by such a warm and like-minded community. As I’ve again experienced many technical glitches on my site, I’ve needed to reach out to many fellow bloggers for their assistance. Their wholehearted support has continued to blow me away! How refreshing it must have been for you to meet up and share ideas and commiserate, Donna. I am feeling the need to take a break and haven’t done it other than reblogging a piece here and there over the past nearly 4 years. And I’m also considering dropping back from doing a weekly post since I feel that I need to work harder on my writing and ensure it is higher quality before posting. It’s hard to change once you’ve established patterns and my fear is that people will lose interest. But if I get in a rut they will lose interest anyway, right? Blogging can become another job, and I am about to retire (in one week!) It is going to be a time for me to reflect and evaluate my priorities. I have some technical things I need to work on, too, and that is such a time consuming prospect – as you well know. Thanks for sharing your groups’ thoughts and insights. “It’s hard to change once you’ve established patterns. ” These are such wise words, Molly. Yet, the biggest thing that I’ve learned about blogging is that the community that you and I have both found here is remarkably supportive. When I’ve had spills along the way they have always been there to help. After I took my seven week screen break, there they all were again to welcome me back.. With an incredible network like this, shouldn’t we all feel free to experiment, mix things up, be ourselves and have some fun?! One thing that I know for sure, whatever changes you decide to make to your blog or posting pattern, I’ll be right there beside you reading what you have to say. Enjoy your second retirement. This time, don’t go back! What a great chat you must have had together Donna. I really enjoyed reading through your notes and some of the points are in line with my thoughts on blogging. I always say it’s been like learning a new language, and there’s always so much to learn just when you think you have it sorted! I enjoy my blogging and don’t have a set schedule which helps me keep it a pleasure rather than a pain. I look forward to reading your thoughts in your next post. Thanks for sharing your discussion, I would have liked to have been a fly on the wall, listening to you all. What fun! Better than being a fly on the wall, Debbie, we all would have loved to have you sitting at the table discussing with us. Sounds like a perfect excuse to come out to Vancouver Island next July doesn’t it?! We could make a special award for the blogger who travels the farthest! Hi Donna – well you certainly had fun as well as a productive visit down south … and thanks for the notes. I too will be back to read up properly and see the comments and ideas. The community is amazing and just wonderfully supportive … and I was grateful I didn’t tie myself into one sort of subject when I started the blog … so I can be open ended with my posts. Hi, Hilary – It’s very true that different posts require different lengths and structures. To try to force them to fit to a certain mold just wouldn’t work. Thanks for reading and commenting. I will definitely keep you posted regarding next summer’s meetup. Great post-Donna! And your weekend sounds like so much fun! I’m looking forward to reading where your new decisions will take you! Thanks, Janet – That’s the thing about meeting together with remarkable friends. They ask honest questions, make us think more deeply ,and give us the courage to do what we have been avoiding. I’ll keep you posted on new directions. Such a great opportunity to meet up with some amazing women. I hope to someday meet some of my blogging buddies in person. I jumped into blogging without looking into it too much, and am glad I did because I might not have done it otherwise. I still worry about my blog name and if topics I write are aligned to it. The people I have met virtually are the reason I keep going. Even if it’s only one post a month because life happens, or I pull back on commenting on everything…I try and stay connected because of those relationships. I am inspired by so many folks I’ve met through blogging… I’m not sure I’d be were I am today without you-all! Hi, Pat – I wholeheartedly agree that this corner of the blogisphere is filled with very inspirational people who make a huge difference. Thank you for being one of them. You have a very warm and open invitation to join us on Vancouver Island next July! Sound like you not only had a productive time but a wonderful time together. Your list is spot on. Many out your combined thoughts really struck a cord with me. Why? I love to write. Frustration? Blogging takes sooooo much time. Taking a Break? I’ve just not been able to face it of late. I’ll get back to it soon. Hi, Laura – Thank you so much for stopping by and commenting. I always love reading what you have to say. I also love when particular parts of a post resonate. — makes a large world feel so small! I really like your last list about what you’d do differently, Donna. I can relate to most of them, especially the one about thinking more clearly about a blog’s purpose. When I started mine, I thought for sure every post would relate to retirement. But I quickly learned that I’d not only run out of topics but would be bored too. My only regret is that I wish that I had kept my former colleagues in the dark about the blog’s existence. Although their comments are usually fun, and we do go back-and-forth on email sometimes with interesting thoughts about something I’ve posted, I do think I may have been able to write with more freedom about my career if I hadn’t of included them as followers. I sometimes have to catch myself when I write about that period because I don’t want to make anyone feel ill at ease. And so it goes…. Thanks for sharing these helpful points. Hi, Marty: On the other hand, even if you hadn’t shared your blog with your colleagues….as soon as you publicly write something that someone could remotely take the wrong way….that someone has an amazing way of finding out! I always try to proofread my posts from different peoples’ points of view. My mom is a regular reader, so I always try to be nice! I had no idea what I was coming into when I started to blog, Donna. All I saw was that it would be a fun and enjoyable thing to do. When I lost that, I almost gave blogging up because the fun and enjoyment turned to stress and feeling guilty for not reading and commenting on posts, etc. Then I decide to change the way I blogged and go back to why I came to blogging in the first place. There’s nothing wrong in taking a blogging break (even though some bloggers think the blogging world will collapse without them), but we also need to learn to not spread ourselves too thinly around the blogging world. The same applies to social media. You’ve all bought up some great and valid points that every blogger should take note of regardless of if they are new or been blogging for years. Glad you enjoyed the meetup. I bet you all had so much to talk about. Hi, Hugh – You’ve hit the nail on the head. Keeping the fun in blogging, and not spreading ourselves too thin, is the key. Our Meet-Up helped me to reexamine my ‘blogging time-wasters’ and actually switch things up accordingly. More on that soon! Sounds like you had fun and learned a thing or two, also. I’ve blogged for a long time now so it’s second nature for me to view my life through the lens of: will this make a good blog post or not? Someday I hope to meet other bloggers in person, but until then ever onward go I, a free spirit in suburbia. Hi, Ally – I agree that experience is an awesome teacher. I’ve been blogging 3 years so far. Now when I find myself making the same mistake over and over, I know that it is time for me to change things around. Thanks for dropping by! Thanks for dropping by, Ally. I agree that experience is an awesome teacher. I’ve been blogging 3 years so far. Now when I find myself making the same mistake over and over, I know that it is time for me to change things around. Thanks for dropping by! Looks like a wonderful meet-up. Wish I had been in your neck of the woods. Thanks for the great post! For me letting go of the numbers and the pressure of writing on a regimented schedule, along with taking some breaks, has made blogging fun again. Hi, LuAnn – I wish that you had been in this neck of the woods as well. It would have been lovely to have met you. I also quit watching the numbers a while ago, and that was very helpful for me. Blogging strategies and time-management fixes that work for one person, don’t always work for another. But it was great to share them all and then go home and experiment with new ideas. 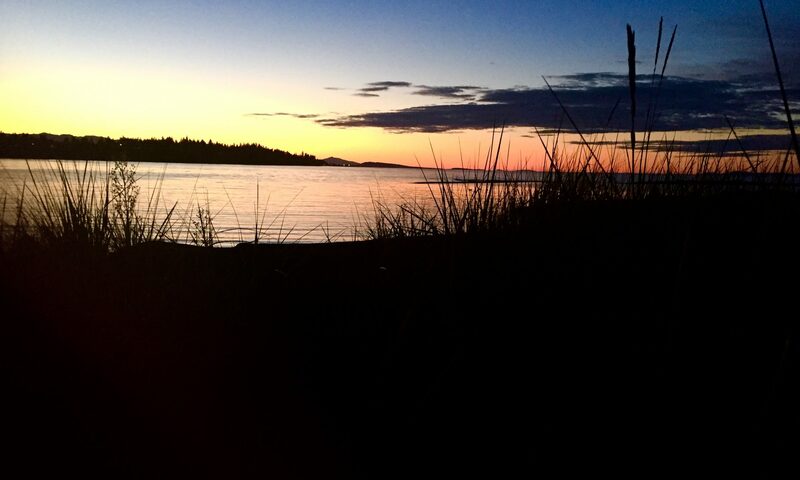 You have an open invite to Vancouver Island next summer….or anytime at all! Thank you for the useful and informative list, Donna. I stand behind many of your discussion points and summaries. Balancing everything we want to do in our lives is the most difficult act of them all! It would have been fun to add my take on it all. I either seem to be too late for the blogging party (Southern California), or too early (Vancouver Island). 🙂 But, I might catch up with everyone singularly over the next few months. Hi, Liesbet – You were definitely missed….although we did feel you with us in spirit. My blogging decision had a bit of a detour earlier this week. It is now successfully back on track and ready to be revealed in the next post! I’m off to read your recent post now. Hi Donna, that is a great list which sums up all about blogging. Hope you all had a nice time at the get together. Here in Bengaluru long back, we had a similar meetup. But not in the recent past. For me, prioritising blogging over some other commitments becomes quite a challenge. I try my best to blog at least a short post, rather than go off blogging all together. But taking a break is always refreshing, and blogging is no exception. Hi, Pradeep – Writing a shorter post can also be a great time saver. I relied upon this strategy during the A – Z Challenge. It was amazing how many different 100 word posts I wrote during that time! I have to agree with everything on your list, Donna. Blogging is so much more involved than I originally thought when I started out. I like the idea that we blog to promote deeper thinking and inspire each other. Making the most of my time and coming up with meaningful posts are big challenges. If I were to go back in time to the beginning, I would learn more about the technical aspects of blogging before jumping in. I haven’t yet taken a complete blogging break, but I did re-run a couple of old posts while I was on my last vacation, which was a big step for me. Thanks for sharing the notes from your meet-up. It’s good food for thought. Hi, Christie – Even though my computer technical skills are okay (at least for my age group 🙂 ), the technical side of blogging (and self-hosting) have been a huge time drain for me. The great thing is that there are so many options out there and it is never too late to make a change. Your idea of rerunning older posts during your holiday is also an excellent idea. Sounds like a fun and productive meet-up! Thanks for the tips. Wish I had done a little more research before I started, but it is something I really enjoy. Reading other blogs and learning about life all over the world has been really awesome. What a great photo of the six of you. It must have been so fun to get together. It is definitely one of the great possible outcomes of blogging — to meet kindred spirits through blogging and to become friends in real life. I am thrilled to hear that you are planning a meetup on Vancouver Island next summer, and I would love to join you. Yahoo – I was hoping that you would say that. I have my fingers (and toes) crossed that this all works out! HI, Erica – Thank you for your kind comments. Kathy, Janis (hopefully some others) and I plan to meet up on Vancouver Island this coming July to discuss blogging (among other things). You are very welcome to join us. I’ll keep you posted! Thank you, Donna, for making me feel welcome. You may be aware that I live on Vancouver Island, too (26 years now). I am still not sure how I will approach blogging, especially when I see how easily it can consume our days. I am already learning to put myself on a schedule. It’s challenging, a creative outlet, inspiring. fun….everything you outlined in your post. Hi, Erica – I knew that you are Canadian, but I missed that you live on Vancouver Island. That is very cool!! There are several bloggers in this little corner of the internet who live on Vancouver Island (Jude from Dr. Sock Writes Here, Diane from Still the Lucky Few, Hilary from Positive Letters, Mike from Colin Michael Lucien Jonathan Nelson’s blog and Ann from The UnRetired…..to name only a few). If you would ever like to get together to discuss blogging (among other things), please do not hesitate to contact me. You can find my email via my Gravatar). A blogger meet-up, how awesome is that? Previous PostPrevious Turning Sixty Wasn’t All That Bad!